Collaborators: Axel Wieder. Research: Anthony Elliott, Libita Clayton. Graphics: William Richardson, Jake Gunn. 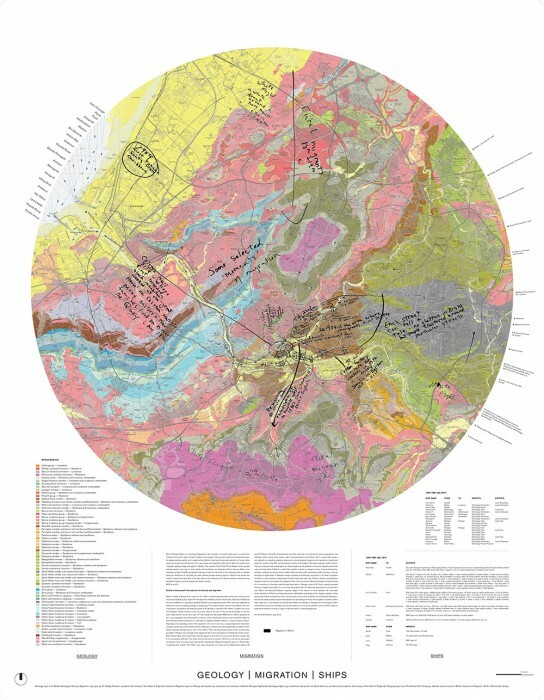 Map layers by groups and individuals – see list here. 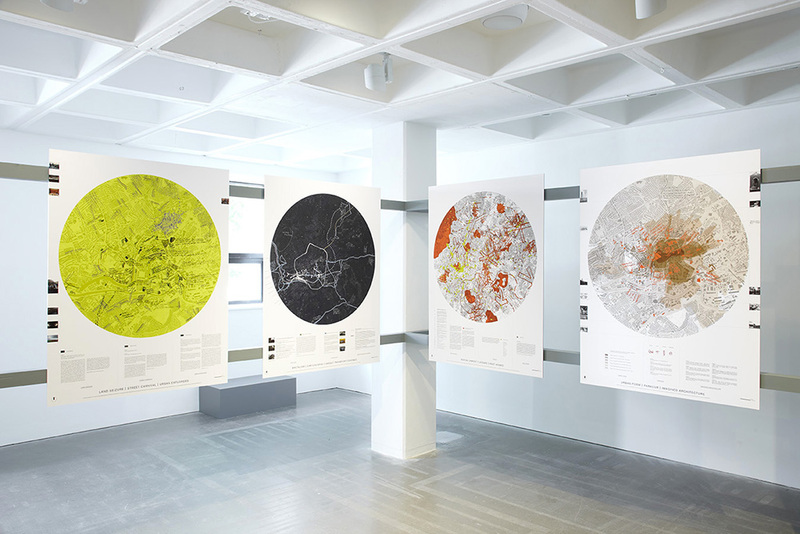 Dimensions: 10 maps of 130.48cm x 101.48cm. Materials: Digital prints on dibond. 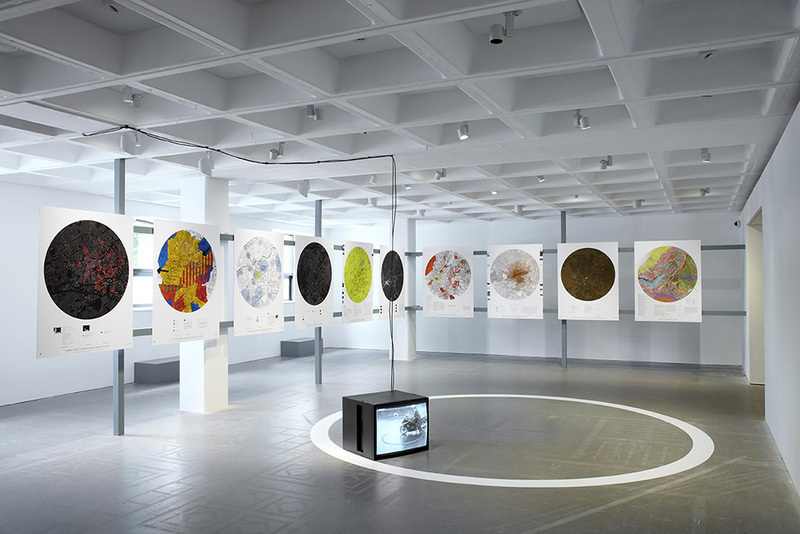 Exhibited: The Promise, Arnolfini, Bristol. 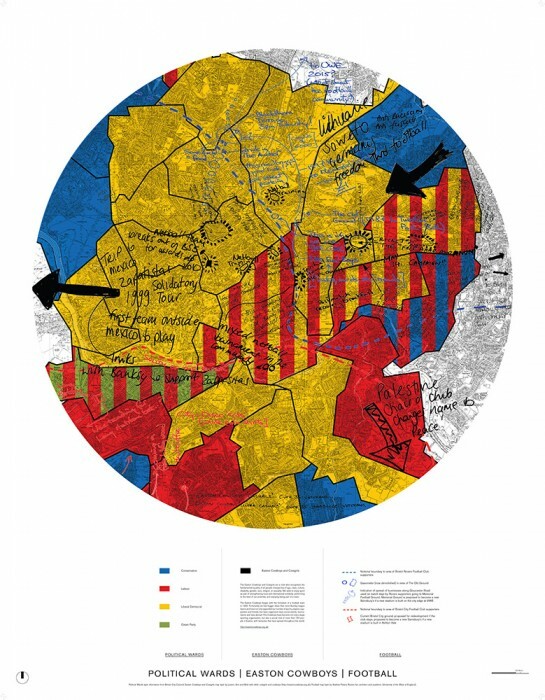 Commissioned by the Arnolfini to work in collaboration with the curators as a central thematic cluster to The Promise, we devised a conceptual framework that aimed to explore the layered reality of the city as a shared and contested territory where both the past and the present co-exist. 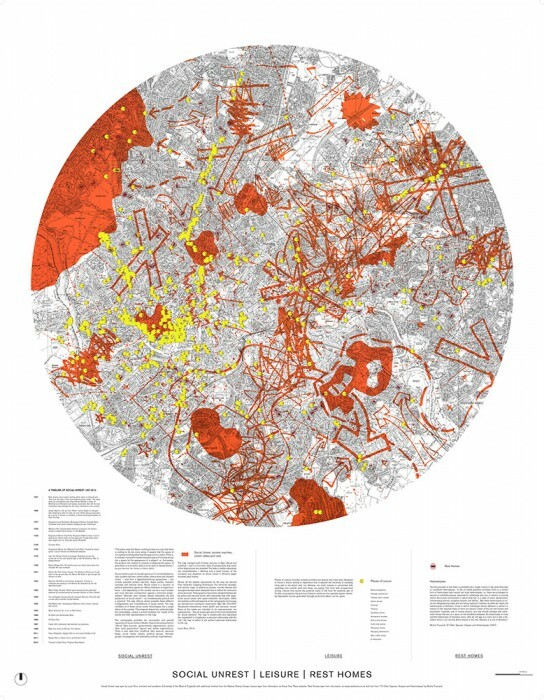 Thirty map layers were created in dialogue with specialists and groups within Bristol, relating to the way given systems, structures and spaces within the city are both occupied and transformed by its inhabitants. 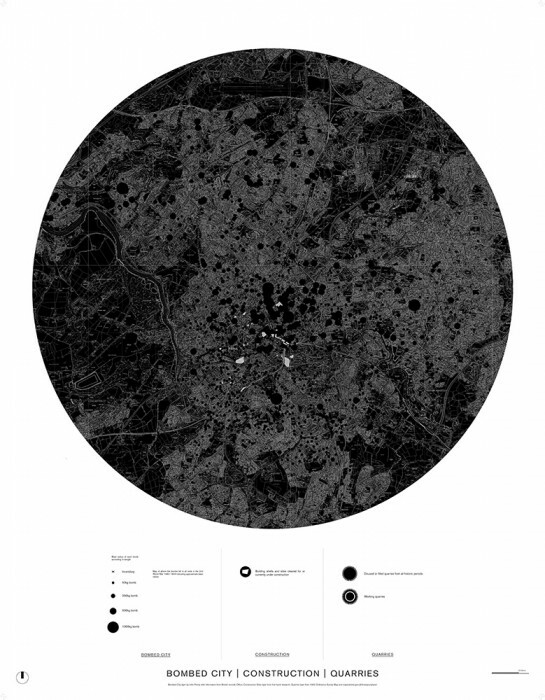 Subjects range from the presence and locations of CCTV and surveillance, the geological landscape underpinning but often hidden from city life, to sites of social and political unrest. 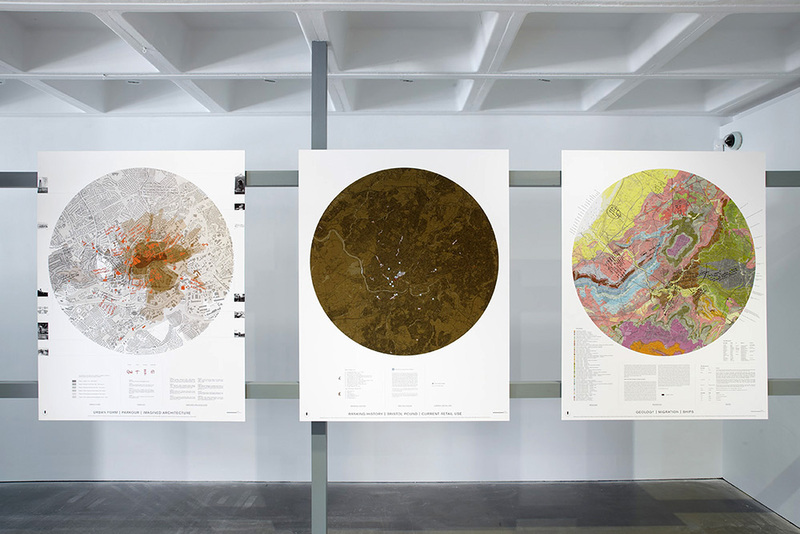 Each map brings together three separate layers of information, normally disassociated, to mobilize their associative and contingent relations and offer up alternative re-presentations of the city. 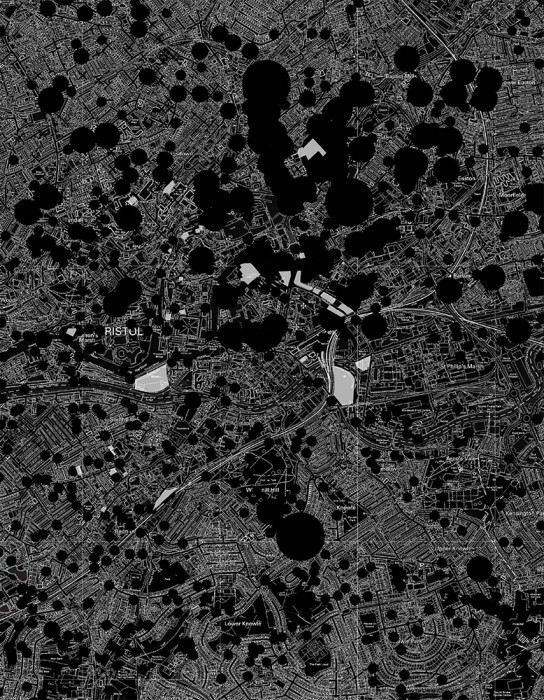 The maps, both anecdotal and statistical, seek to reveal the ways in which we simultaneously identify, claim, circumscribe and imagine the space of the city over time.